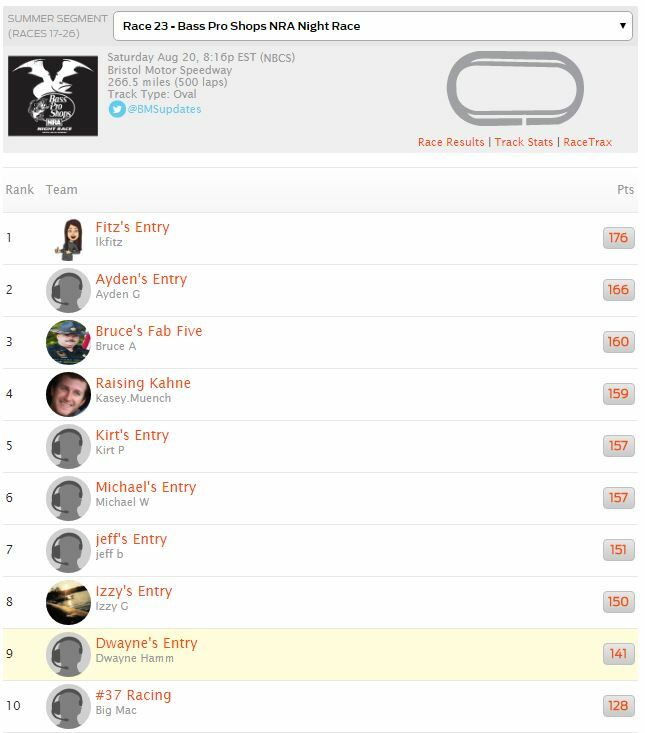 lkfitz, the Jimmie Johnson of BigDawgz, wins another race with 176 points. She has totally dominated the Summer segment. Ayden G takes second place with 166 points. Bruce A sangs a third place finish with 160 points. 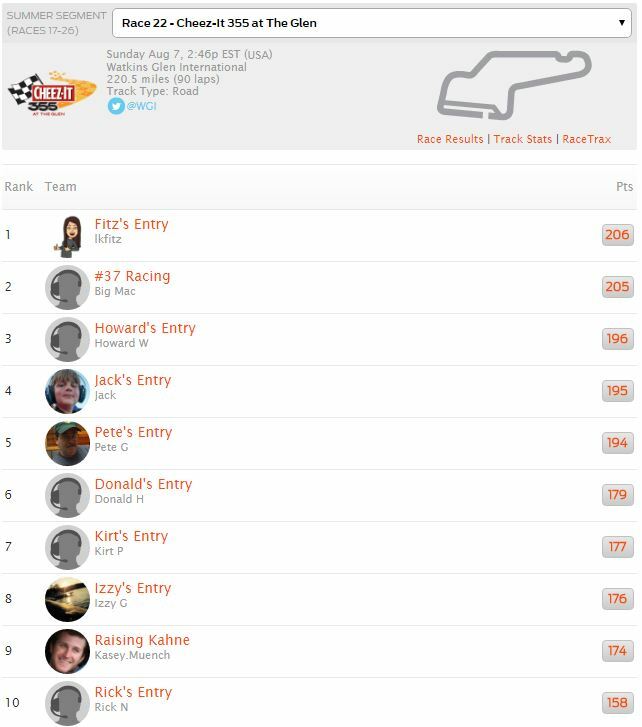 Lkfitz dominates the Summer segment with 206 points this week and another win. Big Mac surges in the points taking second right behind Lkfitz with 205 points. Howard completes the podium in third with 196 points. 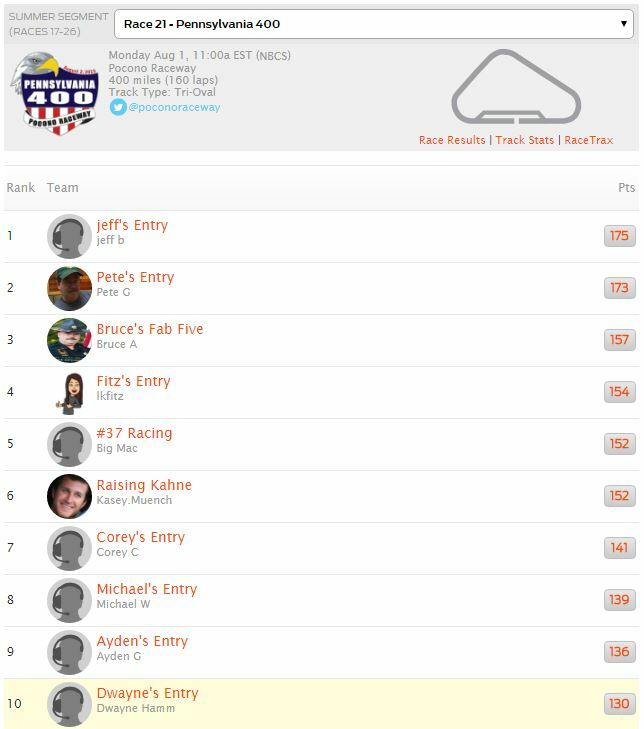 Jeff B pulls off the win in the delayed and weather shortened Pocono race this week with 175 points. Pete G grabs second place with 173 points. Bruce A rounds out the top three with 157.